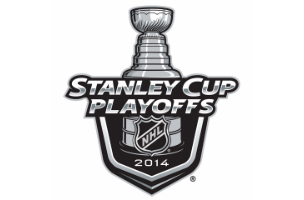 Who are Facebook users rooting for in the NHL playoffs? The National Hockey League Stanley Cup Playoffs are coming up, and Facebook mined its data to find out where fans of each team are. The above map of the U.S. and Canada shows which NHL team has the most Facebook fans from each state or province. The Los Angeles Kings and the Anaheim Ducks do not have a plurality of fans in any state or province. The Chicago Blackhawks have the most fans by territory, with a plurality of fans in 10 U.S. states. The Pittsburgh Penguins follow, with a plurality of fans in 9 territories (3 provinces and 6 states). The Canadian provinces only have a plurality of fans for two teams, the Montreal Canadiens and the Pittsburgh Penguins.